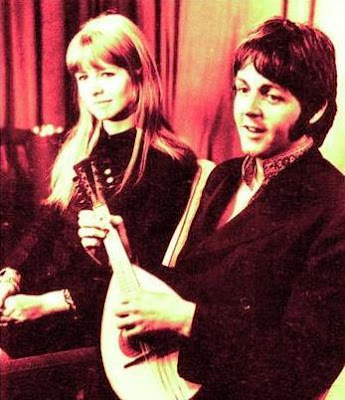 What is Paul doing with that instrument? Did he sing something? March 26,1968. Heathrow Airport, London. 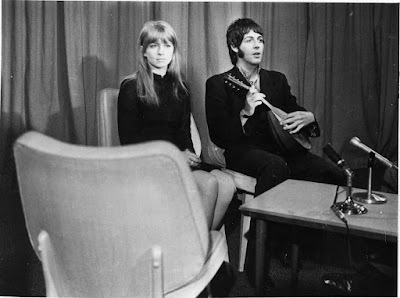 Paul and Jane at a press conference after returning from Rishikesh (India).